Wakefield-based Green PR has ceased trading after 22 years. Directors Ian and Andy Green - who are not related - have decided to pursue new interests. The firm says its demise is also linked to being "over-burdened" in supporting a sister company that has failed to receive mis-selling compensation owed to it by its bank. Ian, the firm’s majority shareholder, has taken an in-house marketing director post at Ramsden International. 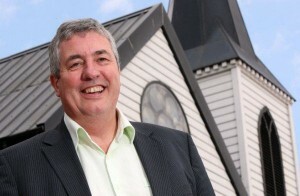 Previously a journalist, Ian worked on the likes of the Yorkshire Post, Northern Echo, The Observer and Real Business. He was also launch editor of Insider magazine and a founding director of Venturedome.com. Andy is now splitting his time between lecturing at Cardiff University, non-exec directorships with a Belfast and a Cardiff PR firm, and leading a social enterprise. The pair said: “We are very proud of the business legacy of creative work and job opportunities created. In the end, the burden of supporting a sister company struggling against bank mis-selling proved too much, and it’s now time for both of us to move on in our careers. Green's clients included Asda, Netto, West Yorkshire Police and Yorkshire Bank.